Opened in March 2006, the Reed Gallery is located on the Third Floor of the City Library and fulfills A. H. Reed's dream of a readily available space for patrons to view heritage materials. Exhibitions change approximately every four months and highlight central themes in the Library's collections. Many of the books and ephemera displayed are precious or rare and the changing selection of materials allows visitors the chance to experience the rich holdings of the Heritage Collections. A H Reed was born on 30 December 1875 in Hayes, Middlesex, England. After his father's business failed in 1886, the family immigrated to New Zealand and settled at Parahaki, near Whangarei, on the Northland gum fields. Reed attended a half-time school and, while working with his father as a gumdigger during his teens, taught himself shorthand. At nineteen, Reed went to Auckland to find work. He learned to type and, at twenty years of age, was hired by the New Zealand Typewriter Company at one pound per week. In 1897 he was sent to Dunedin to open a branch of the business, which he subsequently acquired in 1902. Reed and his wife, Isabel, were heavily involved in the Methodist Church. His involvement with teaching Sunday school led to the establishment of a mail-order business for the supply of literature for religious education. In 1907 Reed founded the business that eventually expanded into the publishing house. His nephew, Alexander 'Clif' Reed, joined the company in 1925 and started a new branch of the business in Wellington in 1932. After his wife died in 1939, Reed handed over the business to Clif and retired the following year in 1940. Reed's retirement did not mean slipping into obscurity or settling down into the supposed quiet of one's golden years. He remained Chairman of the Board of Reed Publishing until 1960, was involved in lecturing and committee work, and wrote numerous books and pamphlets. A number of these books concerned his walking tours throughout New Zealand for which many people best know Reed. He walked the length of New Zealand at the age of 85 and from East Cape to Cape Egmont at 86. Two years later he walked a total of 1,116 kilometres from Dunedin to Christchurch, across to Westland, down the west coast, and back to Dunedin by way of Haast Pass. At the sprightly age of 90, Reed walked from Sydney to Melbourne after his nephew joked it would offer great publicity for the publishing firm's newly opened Australian branch. 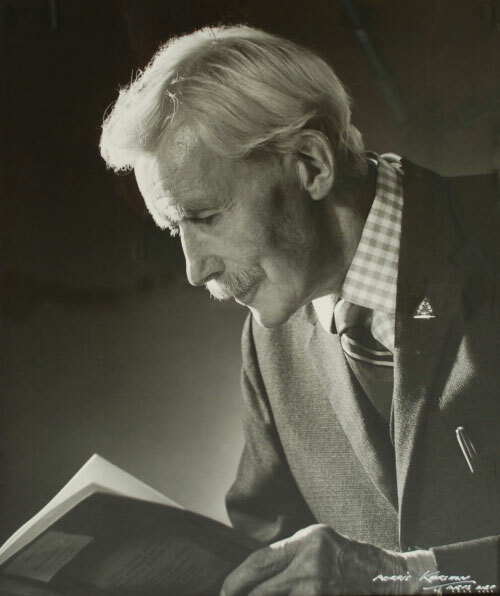 Since 1907 Reed had collected books, autographs and medieval manuscripts. He primarily focused on editions of the Bible and the works of Charles Dickens, but also collected works by and about Samuel Johnson and material relating to the history of printing. In 1948, Reed gifted his collection to the Dunedin Public Libraries and remained actively involved with the Library for the remainder of his life. Reed died peacefully in his sleep on 15 January 1975, two months after being knighted by Governor-General Sir Denis Blundell. Proudly brought to you by Dunedin Public Libraries. A department of the Dunedin City Council.